WebDrive integrates FTP, FTPS, WebDAV, SFTP, Amazon S3 or FrontPage servers into the Windows desktop by mapping a network drive letter to a server. This allows you to use your favorite applications to edit files and save them directly to the server. Requirements: 40 MB of free disk space. AnyClient - AnyClient is a free platform independent file transfer client that supports all major file transfer protocols including FTP/S, SFTP, Amazon S3, and WebDAV/S. EngInSite DataFreeway - DataFreeway is a freeware SSH (SSH1,SSH2,SFTP), WebDAV, FTP, FTPS Client for Windows. 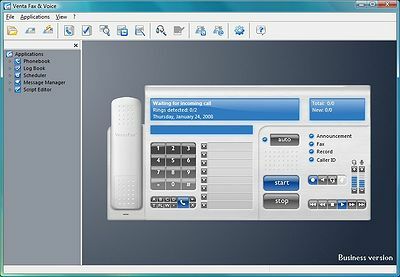 EngInSite DataFreeway allows you to access remote servers from your Windows desktop. BitKinex FTP Client - BitKinex integrates the functionality of an innovative FTP client, SFTP client and WebDAV client for Windows. In addition to features found in other popular FTP programs BitKinex introduces several unique approaches and solutions. ExpanDrive - ExpanDrive is a ridiculously SFTP client for Microsoft Windows that lets you connect to any SSH server and access the remote files as if they were on a USB Drive connected to your PC. It allows you to save and edit directly on the remote server. FTP Client Screen Saver - Screen saver for users of the BitKinex FTP client. It shows the tips for using this popular FTP client for Windows . Leo Backup - Leo Backup is a program designed for Windows and intended for backing up your data in various locations, including secure servers (SFTP and FTP/SSL) and network drives. The file protection and access verification options guarantee the secure backup. FastTrack Backup - FastTrackBackup is an easy-to-use tool that allows you to backup your data. The program provides high performance backup, copies files and folders from one location to another on the same drive, another drive, ftp server or across the network. PeerAware - Create a virtual workspace with group chat functionality and collaborate with friends or at work. Draw together on the whiteboard or share knowledge, search and browse for files and documents. Communicate across Internet or within a local network.